ESO Supernova Exhibition — How far away are the stars? The stars in the night sky are so far away that it takes their light many years to reach Earth – hence the term light-year. Measuring distances is one of the most challenging problems in astronomy. 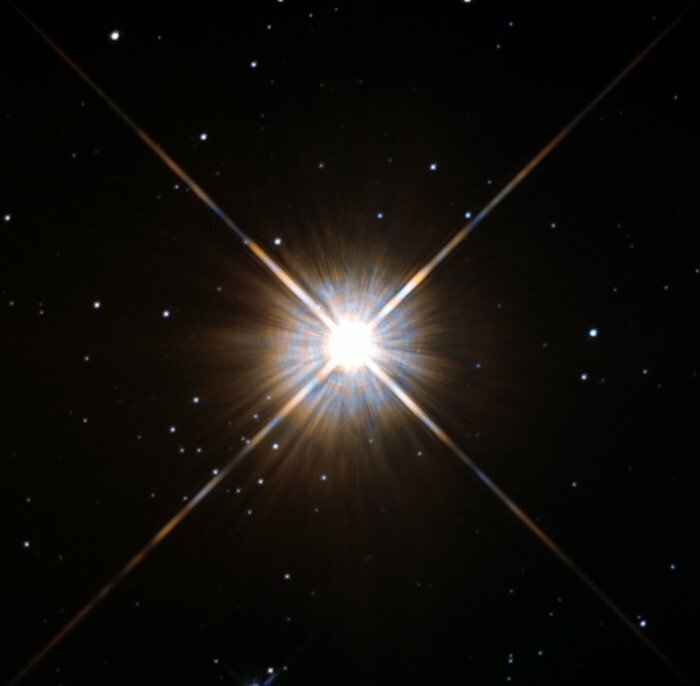 On the doorstep: At a distance of only 4.26 light-years (some 40 trillion kilometres), the dwarf star Proxima Centauri is the Sun’s nearest neighbour. Stellar backyard: Most stars visible with the naked eye are within 1 000 light-years from Earth; in an astronomical sense they are in our backyard. If all stars had the same energy output, it would be easy to tell their distances: fainter stars would be further away. However, stars emit very different amounts of energy. Astronomers speak of different luminosities. A bright star in the night sky can be a distant giant or a nearby dwarf. One way to determine the distance of a nearby star is to measure its apparent position from two different points in Earth’s orbit around the Sun. Astronomers also use specific types of stars which have a well-known and stable luminosity as standard candles to determine larger distances. Keeping up appearances: The star Vega (upper left) appears about as bright as Deneb (left). In reality, Deneb is much more luminous, but it’s a hundred times further away than Vega. The power of parallax: Because of Earth’s yearly motion around the Sun, nearby stars seem to wobble slightly with respect to the sky background. From this “parallax” motion, the star’s distance can be calculated. The stars are very, very far away. 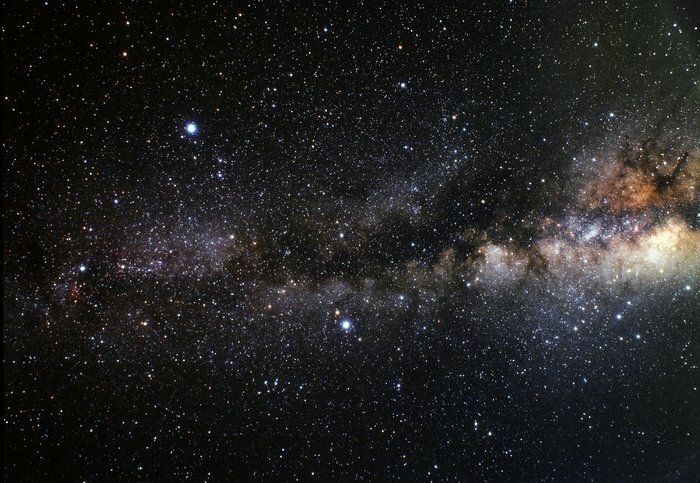 Even the nearest star is around 40 trillion kilometres (40 000 000 000 000 km!) from Earth. Therefore, most stars in the Universe can only be seen with the help of large telescopes.